We are a leading supplier of CD, DVD, Blu-Ray, USB Key, Flash Memory and hard drive duplication equipment. We can guide you through the process helping you decide which system is right for you. We can demonstrate, Install, train, help Integrate and then support your duplicator. We are not a box shifter and use this equipment in our own production facility. We also have a trained support team to ensure any repairs, problems or servicing is completed efficiently with minimum cost. Even if your duplicator was not provided by Handisc we should still be able to service or repair it. Our knowledge of duplicators has grown over the years meaning there are not many systems out there that our support team haven't been trained on. We also offer a professional disc, USB Key & Hard Drive duplication & printing service. If it's 10 or 10,000 we should be able to offer the right solution for you. With over 15 Years experience supplying duplication equipment and services to industry's like Gaming, Government, Education, Medical, Banking, Design Agencies, Music & Video Production. New! 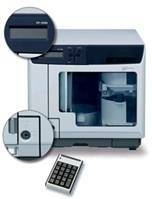 HDLabels.co.uk - Handisc are happy to offer a new range of label printers including the Afinia L801 colour label printer. We can sell, service and repair the Afinia products. 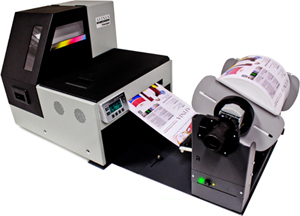 For more information on the label printing solutions please click on the Images below. We work in direct partnership with the worlds leading manufacturers to ensure we are able to offer the best overall service to our customers. By combining products from manufacturers such as Microtech, Epson, Microboards, Falcon Professional, IMI & Taiyo Yuden we are able to advise on and supply the total solution. USB Towers - Duplicate USB Keys and USB Hard Drives NOW USB 3.0! Our goal at Handisc is to offer the highest quality product & service for the right price. We can manage your project or provide the little extra bits you need. Below is a list of some of the services we offer but feel free to get in touch and find out what we can really do for you. Digital Media Solutions - Authoring, Editing & Encoding of Audio & Video, QR Code & Mobile App Development, 3D Animation, Flash, Web & HTML App's. VHS to DVD Conversion. Please contact us for more details or to find out what else we can offer. 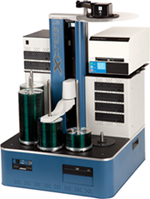 Trade in Offer - Trade in your old CD/DVD duplicator and find out how much you could save on a new system. 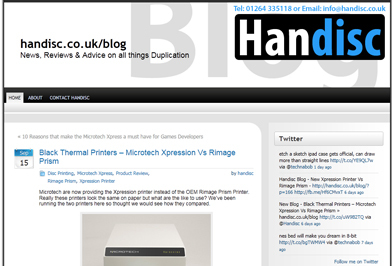 All the Latest News, Reviews, Hints & Tips on all things duplication. We'll also throw in any other useful bits we pick up along the way. It's not all work, work, work. Shop.handisc.co.uk is now online. This is our web shop that offers all the consumables and some of the equipment we provide. The aim of this shop is to make it easier for customers to order out of hours and via credit card should they need to. We'll also be running some great special offers online so it would be worth subscribing to our Newsletter or following us on Facebook & Twitter to ensure you don't miss out. To subscribe to our Newsletter just email "subscribe" to info@handisc.co.uk with you name and company name. The Facebook and Twitter links are to the right. Not everything we provide can be shown on the shop so please get in touch with us directly should you need any information or help with you projects.